Apple is currently locked in a silent war with some retailers after the decided to not just ignore Apple’s advances to bring Apple Pay to their customers but also actively made it impossible to use the service even after it was found to work in an unsupported capacity. In a world where you would expect all retailers to want to take money from potential customers, that just seems weird. Oddly though, it’s been left to the banks to talk sense here, which isn’t something they’re particularly known for. Having thrown their weight behind Apple Pay thanks to its increased security when compared to the hugely insecure method of having a credit card swiped, banks are going all in when it comes to Apple Pay. Take Wells Fargo for instance. Not content with simply making it possible for their customers to use their cards with Apple Pay, Wells Fargo is also offering to pay them for the privilege. 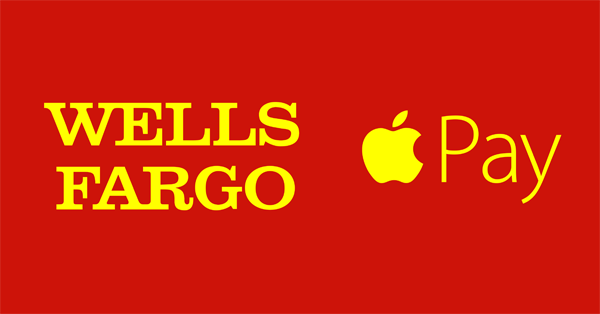 Believe it or not, Wells Fargo is now offering its credit card customers $20 if they use Apple Pay just once, while debit card users will receive a reduced – but still completely awesome – $10. The credits may take up to two months to arrive apparently, but you can’t complain about someone being tardy when they’re literally giving free money away! Banks are very keen on Apple Pay for the simple reason that it should reduce the amount of fraud that goes on thanks to stolen cards. With existing U.S. payment revolving around a magnetic strip on a card and then someone signing a piece of paper, having an ill incident taking place is rife to say the least. By using Touch ID and a card owner’s fingerprint in order to authenticate purchases, Apple Pay will hopefully prevent such fraud. With that in mind, it really is no wonder that they banks love Apple Pay. Of course, not everyone is happy. Competitors are closing Apple Pay loopholes that saw people with iPhone 6 and iPhone 6 Pluses being able to purchase items even at vendors that didn’t officially support Apple Pay. The remaining question is thus: will customers simply vote with their wallets and go somewhere with an Apple Pay logo on the door? Really ?! Oh please! No thanks.